We build websites entirely in-house to suit your objectives as well as your budget — we provide a fully supported and personalised service based on your individual needs. An effective website can be a simple one-page design or a multi-page site with multi-tier menu system. With website design and development, we aim to create a site that performs on all levels - exceeding your expectations on performance, style, simplicity and cost. Our goal will be to produce a website that will impress your visitors by looking great and working with easy simplicity. Simplicity is achieved by only including what needs to be there, by stripping away non-essential elements - it doesnt' happen by accident, it comes from careful planning and good design. We'll aim at presenting a visually balanced display with harmonious use of colour, classy typestyling and by using the best possible photos and images. To compliment the visual appeal, your website needs to function flawlessly – every page element must work quickly and simply, menu navigation should be sensible and straight-forward. When your visitor has formed a positive first impression, they'll click – through to that next page, and they'll make contact with you. That's our goal... simple. 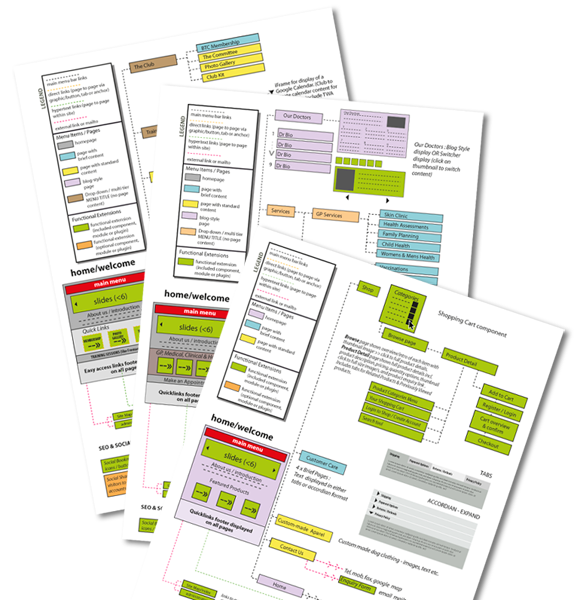 We construct all of the elements that make up your website according to the site plan. Each website we create is crafted to reflect YOUR business branding and style, it's individually created based on your needs. With our experience over many years, we are able to create a unique look and feel to your website, while our technical skills ensure the site is fully operational and functional. Yes we'll make it mobile and tablet friendly. Responsive web design is a way of making a single website that works effectively on both desktop browsers and mobile devices. Responsive architecture gives the best quality browsing experience - whether on a smartphone, tablet or iPad, desktop or laptop computer, and regardless of the operating system. Why is responsive important ? Day by day the number of devices and browsers that need to work with your website grows and you'll want your site to perform well on all of them. Another important factor is that Google determines if your website is 'mobile friendly' and will label your site to make it easier for people searching on smartphones - a rapidly growing sector. This may ultimately affect your google traffic, so it's worthwhile to have a website that complies. Page content is a critical element of the website -- it must be informative and relevant, look attractive and create a positive impression with your visitors AND your website must be easy to use. We provide a fully supported and personalised service, with our many years of experience we can help you with advice on what your website should say or do. Well thought-out page content is essential for a successful website, both on the level of appeal, interest and relevancy to your browsing visitors, as well as operation within Google's database. Referrals from Google search results are important, so we consider options for Search Engine Optimisation (SEO). We will apply such strategies and site configurations during construction that are relevant to your business type with the aim of achieving a high ranking as quickly as possible. 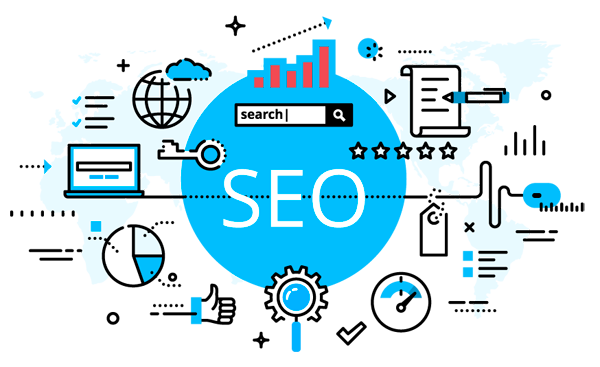 SEO strategies can be applied during construction and at completion of your website as well as post production to boost results to an existing website. All our websites are created search-engine ready. We recommend that you have a registered domain name, which would be similar to your trading name. In order that your website can be published and visible to the world, your domain name will need to be hosted, and the type of hosting package you will need will be determined by the size of your website and the functions it performs. We understand this is an area of some uncertainty to most people, with it's own language and technical aspects. We are happy to manage this essential area of your website production and will help setup the most appropriate account for your particular needs. A one-page website has no menu, your visitors simply scroll (or swipe) through the content. We have a package that includes everything you need for a simple site, plus we make it search-engine ready. A one-page website can be expanded if you want to add more content later. This could be a cost-effective way for startup businesses who want a web-presence now but plan to build their business and services. Contact us - includes all methods of contact, including social media pages. If you'd like to know more, contact us for no-obligation chat. 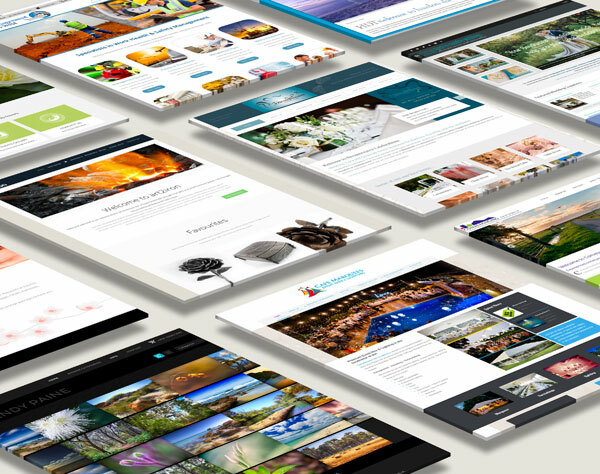 With more content and a range of products or services, a multi-page website might be best to showcase your services. Typically this website will have a menu system which can be displayed in a variety of ways : a simple row of items, multi-tiered drop-down items, or a collapsing menu that pops out from a side-bar. Your content is displayed on the various pages, and the menu is used to navigate through your site content. Every website we create comes installed with highly functional and useful standard features. There are also numerous functional extensions available to plug-in to your website, eg. online shop, blog and many many more. In the planning stage, we'll consult with you to determine the best choice of optional extensions and will customise these to fit perfectly with the websites graphic style. We produce websites entirely in-house, we offer a personalised service from start to finish and you can rely on us. We have over 20 years of experience building websites, we combine our thorough understanding of the technical web-environment with creative graphic design to ensure we build a website you'll be totally happy with – we'll even take the photographs for you if you need them!